I have been blessed by the fashion gods and im so grateful. 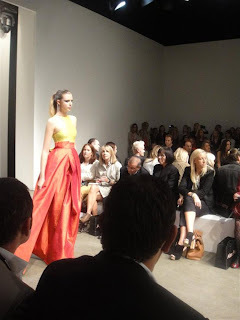 On Monday I will be attending many shows at Mercedes Benz Fashion Week Australia, in Sydney. It's the first day of the collections shown on the runway and yep, I will be giving you daily updates! Follow me on Twitter and Facebook to find out first.